We’ve been gathering lots of great Keto tips for you here. We know how much people are loving this diet and how great it has worked for so many. Here are some quick infographics and charts for you to keep handy so you can make the most of your experience. What the Keto flu is and is not and what you can do about it from Health In A Second. These are the symptoms and signs that you are in ketosis from Positive Health Wellness. I can’t go without my Starbucks! 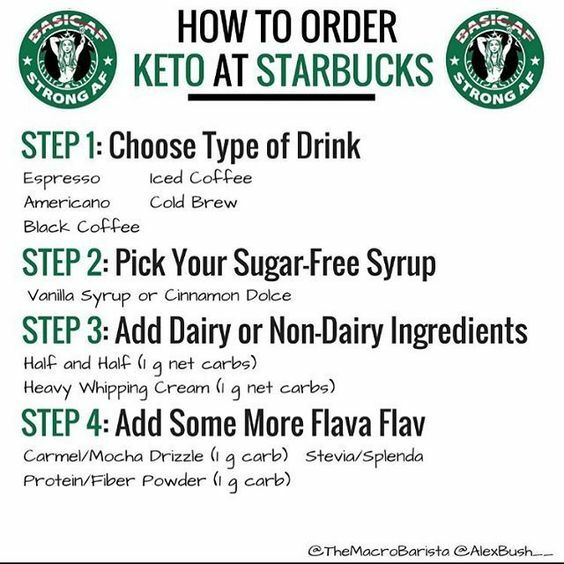 Here’s how to order Keto friendly coffee from The Macro Barista. Yes, you’re dieting, but you still want to grab a quick bite on occasion. Here is a helpful chart for eating out on Keto from Ruled.me. The good, the bad and the ugly of Keto.